The book gives you a complete color education in an illustrated instruction style that makes it easy for you to follow along with the demonstrations. 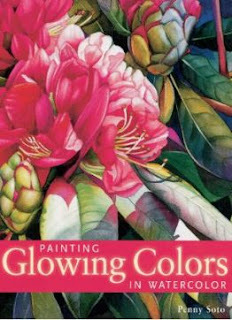 It's an ideal reference for any painter who wants richer, more vibrant colors. Penny Soto is an accomplished painter and illustrator. Her work is included in the corporate collections of Pacific Bell, Kaiser Foundation and Ralston Purina. Penny's art has also appeared in The Artist's Magazine and Airbrush Action. She lives in Pollock Pines, California.